I am not bowing down to a potentate. I am not cowering before an easily-offended ruler. I am not worshiping a king. I am not rehearsing a formula. I am not groveling in front of a much-owed rescuer. I am communing with a friend, companion, guide. I am taking in all I am aware of about life, relationships, community, and the world, and I am reflecting on it in light of all I am aware of regarding grace, Word, Spirit, faith, hope, and love. I am still, but not. I pray on the go and in the flow as readily as alone and motionless. My eyes are more likely to be open, though I may close them from time to time. 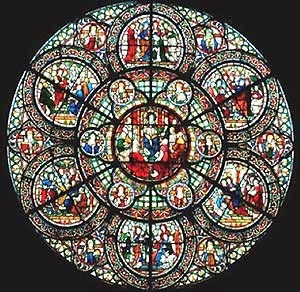 In protest to coercion and conformity, and in reflection of many of the Psalms, I more likely lift my head than bow it. "Watch and pray." I am listening critically. I am speaking carefully. I am receiving, discerning. Sometimes I am crying out--protesting or questioning. Sometimes I am full of gratitude and considering ways to express it throughout the coming days. Awe, if it is experienced, comes not from anything demanded, assumed, conjured up, or rehearsed, but from something that emerges from within in contemplation of grace in life.